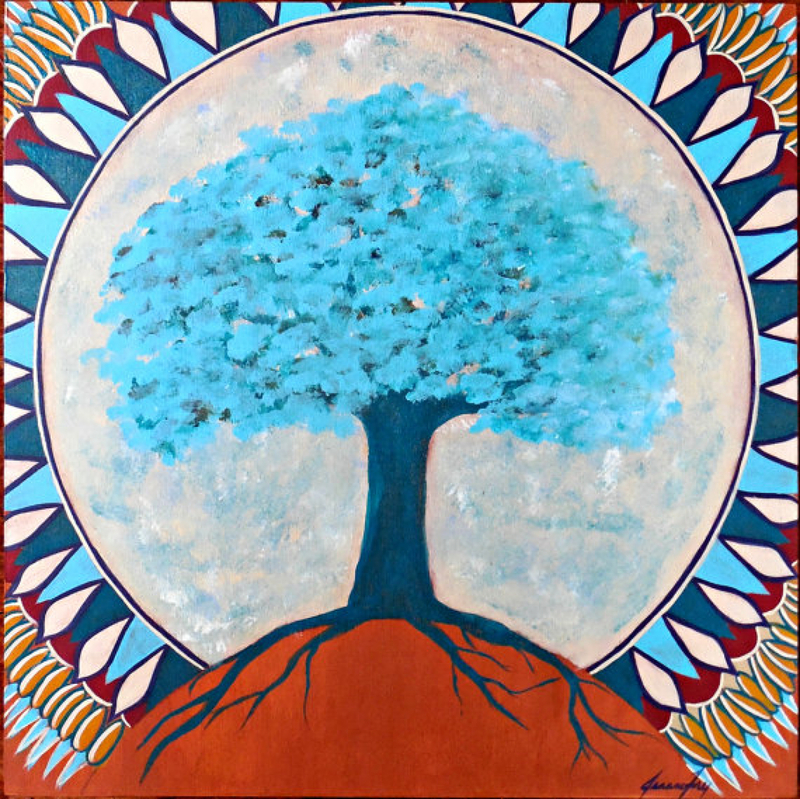 Sacred Tree Sacred Moon is an Original Acrylic Painting on Wood Panel, designed as a Tree of Life Mandala against a luminous Moon. This soft beautiful Tree of Life was done with a deep Turquoise trunk and pale turquoise leaves. Its roots creep gently over the sienna hilltop. Behind the Tree is a Full Moon, which when in dim light or at night, the moon actually glows. (I added a glow in the dark accent to the paint for the moon). Around the edges of the moon a mandala design can be seen, done in earthy colors of turquoise, burnt sienna, turquoise, and cream. The painting was created on a beautiful wood panel that measures 10 inches x 10 inches x 3/4 inch deep. 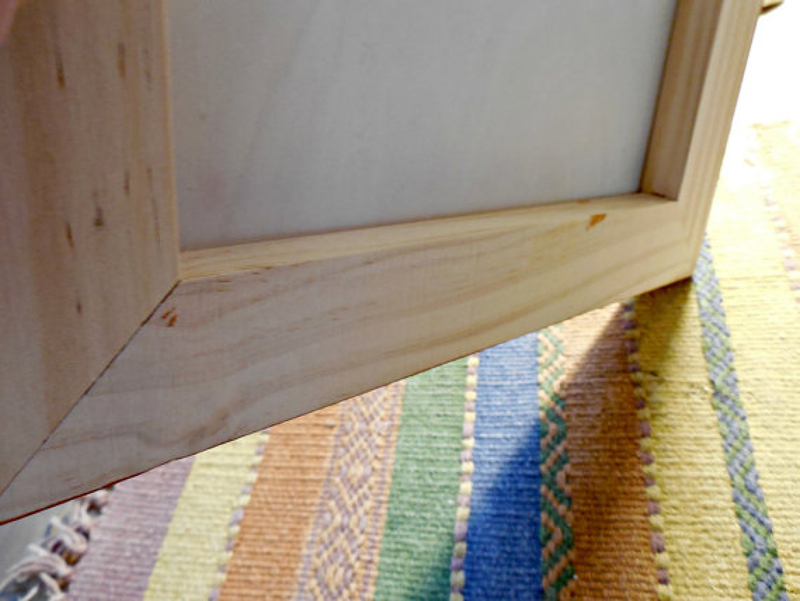 Gallery wire is installed on the back so that it is Ready to Hang. It is signed on the front, signed and titled on the back, and sealed with a satin finish. 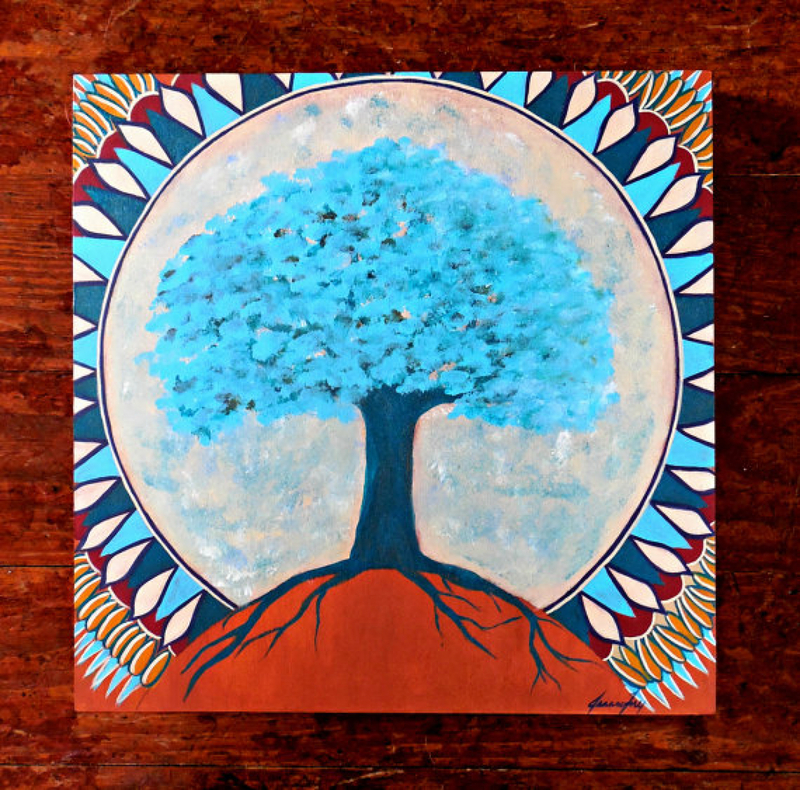 The Sacred Tree Sacred Moon painting can be added to most any decor because of its soft earthy and neutral tones, and brings a lovely warmth and contemporary folk feel.